Geld ohne Ende, für den Gender und Schwuchtel Wahn, der Albanien wie Deutschland zerstört. Alles bekannt, was die EU treibt auch mit Kolumbianern in Albanien schon in 1999, wo die Italiener schon damals die Erste Kolumbianer festnahmen, welche Koka Sträucher anbauen wollten mit der Albaner Mafia. Die Gestalten kamen unter dem Deckmantel der Hilfsorganisationen u.a. der Welthungerhilfe nach Albanien. Angebliche LBGT Gruppen, andere NGOs bis in Deutsche Regierungstellen, waren schon damals nur kriminelle Enterprise, was im Visa Skandal gut dokumentiert wurde. Die selben Akteure in Berlin mit der KfW, EU und US Banken und immer wieder Georg Soros, sind Federführend, damals wie heute. Something had kicked off the night before and the guys on the corner were keen to offer advice. “You don’t want to be hanging around here too long,” one said, refusing to elaborate. They were standing near Crispe house, a tower block on east London’s Gascoigne estate, undisputed territory of Hellbanianz. The gang, an Albanian street crew of drug dealers, is known locally for its violence and more widely for a social media output featuring Ferraris, wads of £50 notes and gold Rolex watches to help enhance its reputation and recruit “youngers”. The Gascoigne estate, built in the 1960s and occupying land that slopes south of Barking town centre to the Thames, is its historical home turf…. It was getting dark, another two men appeared and, when asked if they were Hellbanianz, one said: “You should go.” The Observer was escorted off the estate and told not to return. Hellbanianz belong to the “retail game” of the cocaine trade. They are the street dealers and enforcers of the Mafia Shqiptare, the Albanian organised criminal syndicates who, the National Crime Agency believe, are consolidating power within the UK criminal underworld and on their way to a near total takeover of the UK’s £5bn cocaine market. The gang’s glossily produced trap music videos remind viewers “HB are ready for violence” and that they possess the requisite manpower and firearms. Yet, police sources say, Hellbanianz occupy the lowest rung of the Albanian mafia. To better understand the Albanians’ remarkable rise in the UK one might climb to the 12th floor of the Gascoigne estate’s high-rise blocks. From there, the skyline of London, where much of their cocaine will be snorted, stretches west. In the opposite direction, several miles along the Thames, lie the mammoth container ports where their cocaine is offloaded in multi-kilo shipments. But it is across the Atlantic, to the jungles of Latin America, where the story of the Mafia Shqiptare starts. How Albanians came to conquer the UK’s cocaine market is a lesson in criminal savvy; the value of making friends with the world’s most dangerous mafias; and the absolute threat of violence. It began with a business model that was simple in concept, but sufficiently bold to subvert the existing order. For years cocaine’s international importers worked separately from its wholesalers and the gangs. Pricing structure varied, depending on the drug’s purity; the higher it was, the more it cost. The Albanians ditched the entire model. They began negotiating directly with the Colombian cartels who control coca production. Huge shipments were arranged direct from South America. Supply chains were kept in-house. Intelligence obtained by British experts revealed that the Albanians were procuring cocaine from the cartels for about £4,000 to £5,500 a kilo, at a time when rivals thought they were getting a decent deal using Dutch wholesalers selling at £22,500 a kilo. The Albanians lowered the price of cocaine – and increased its purity. More massive consignments were brought into the UK. The Albanian effect has profoundly shaped the use, production and economy of cocaine. The drug is at its cheapest in the UK since 1990 and purer than it has been for a decade, which has caused record fatalities. The UK has the highest number of young users in Europe. More broadly, far bigger and more frequent shipments of the drug have been seized entering the UK as cocaine production in south America has hit record levels – up 31% on 2016. Rivals to the Albanian gangs like Hellbanianz initially struggled to compete because they had an inferior, more expensive product. Their only option has been to buy cocaine sourced from the Mafia Shqiptare. Yet for the Albanians’ model to truly work it required control of Europe’s ports. For that the Mafia Shqiptare needed to collaborate with the ‘Ndrangheta, the most powerful and globalised of the Italian mafias, which controls mainland Europe’s cocaine trade. A new draft law to ratify an agreement between the EU and Albania will allow the European Border and Coast Guard Agency (Frontex) to operate within its borders. Frontex will have “executive competences” and be allowed to undertake operations within the border of Albania against illegal immigration and cross-border crime, such as drug trafficking. Frontex agents will be allowed be armed and use force within the limits determined by Albanian law. 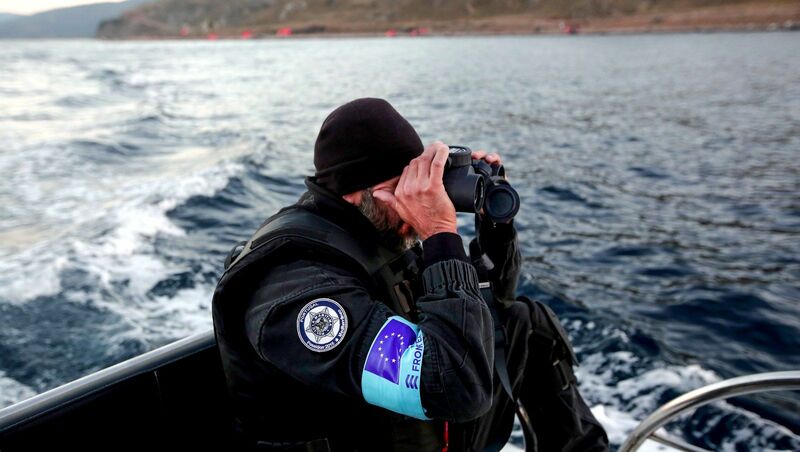 Furthermore, Frontex agents will have immunity on Albanian territory, which means they will not be able to be prosecuted by the Albanian judiciary for any crimes committed in the country while involved in an official operation. According to the agreement, Frontex agents cannot be called to testify as witnesses, which especially in case of drug trafficking will make it more difficult to get traffickers convicted. Furthermore, any damages caused by Frontex agents are to be covered by the Albanian state. Pasuria e sekuestruar sot është truall 922 m2 në Dobraç, tokë arë 620 m2 në Guci e Re, truall 8675 m2 në Pulaj-Plazh, por edhe tre makina, Toyota Hilux, Volksvagen Golf dhe BMW. Prona dyshohet se është përfituar përmes falsifikimit të dokumenteve dhe korrupsionit. Në muajin dhjetor të vitit të kaluar, biznesmenit iu sekuestrua edhe një apartament 10-katësh në lagjen "Rus" me vlerë 2 milionë euro i cili dyshohet se është ndërtuar me burime financimi të paligjshme, ndërsa ndërtimi ishte pa leje. "Kumbarit" të Shkodrës, biznesmenit 44-vjeçar Bardhok Pllanaj i janë sekuestruar të tjera prona në qytetin verior. Sipas burimeve të Report Tv, Pllanajt iu vendos në sekuestro një sipërfaqe e konsiderueshme toke, rreth 13 mijë m2 dhe disa makina. Prona dyshohet se është përfituar përmes falsifikimit të dokumenteve dhe korrupsionit. Pasuria e sekuestruar është; truall 922 m2 në Dobraç, tokë arë 620 m2 në Guci e Re, truall 8675 m2 në Pulaj-Plazh, por edhe tre makina, Toyota Hilux, Volksvagen Golf dhe BMW. Në muajin dhjetor të vitit të kaluar, biznesmenit iu sekuestrua edhe një apartament 10-katësh në lagjen "Rus" me vlerë 2 milionë euro i cili dyshohet se është ndërtuar me burime financimi të paligjshme, ndërsa ndërtimi ishte pa leje (lexo ketu). 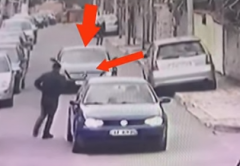 Katër vite më parë Pllanaj trazoi politikën pasi opozita akuzoi maxhorancën se biznesmeni i cili kërkohej nga policia si i dyshuar për transportimin e një sasie të konsiderueshme lënde narkotike drejt Italisë, operacioni i koduar "Laguna e Vilunit", ishte fshehur në makinën e ish-deputetit Mark Frroku. Bardhok Pllanaj qëndroi vetëm pak ditë në burg pas arrestimit ne dhjetor te 2018, pasi gjykata e ndryshoi masën e sigurisë duke e lënë në detyrim paraqitje pas komplikacioneve në zemër. 6) Pasuria ndodhur në Dobraç, bodrum 1255,5 m2 në pronësi të Bardhok Planaj si administrator dhe pronar i vetëm i shoqërisë Old-B shpk sipas ref.3200, fituar sipas lejes së legalizimit nr. 92580, datë 21.01.2015. 16) Pasuria ndodhur në Guci e Re, tokë arë 620 m2 në pronësi të Bardhok Planaj.